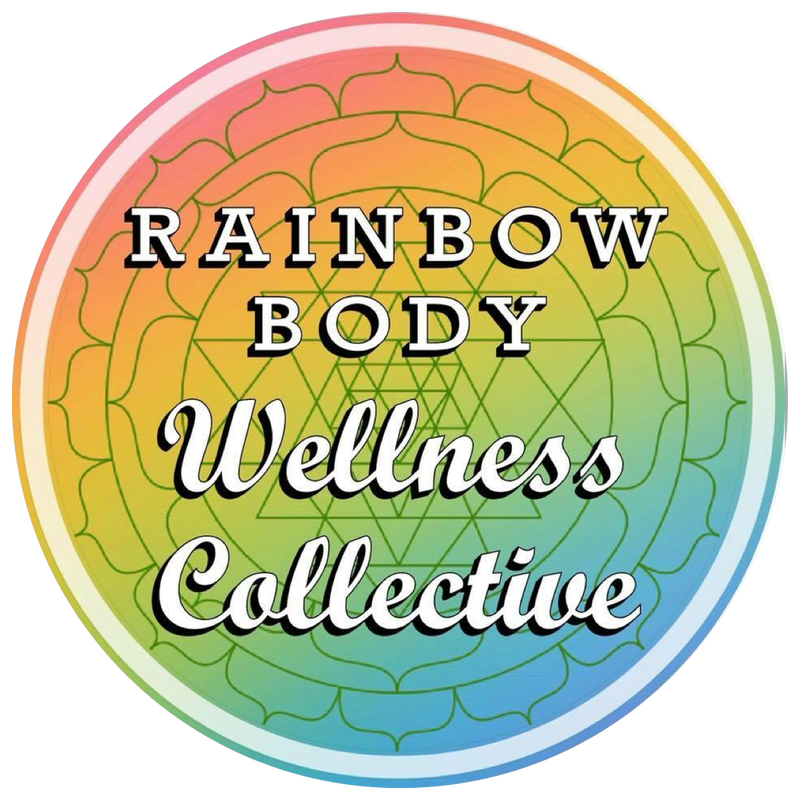 Rainbow Body Wellness Collective is a supportive group of wellness practitioners in Red Hook, NY dedicated to the full healing of each individual. We offer individual sessions within each modality, as well as classes, workshops, events, and other outreach endeavors. Our collective goal is to assist each being in coming to a greater place of balance, health, and wholeness in the mind, body, and spirit. Our hope is that each person may bring their full light into the world to transform and live their fullest potential. As a collective, we know that when one person shines brightly it allows others to do the same. With this knowing we seek to create a ripple effect to bring the world more fully into brightness, balance, and peace. Swedish Massage- Incorporates long, flowing, light to medium pressure strokes to encourage circulation, relaxation, relieve tension, reduce stress and promote an overall sense of well being. Deep Tissue Massage- Deeper pressure is used to focus on releasing chronic tension in the muscles and fascia, also called connective tissue, resulting in decreased pain and increased circulation and range of motion. Prenatal Massage- therapeutic bodywork that focuses on the needs of pregnancy , addressing any aches, helping relieve pressure on the joints and focusing on deep relaxation. This session is best to support women after their first trimester. Hot Stone Massage- Smooth basalt stones are heated and used as an extension of the therapist’s hands in this therapeutic session. The heat from these stones encourages the tightness and tension to melt the muscles, while promoting stress reduction and deep relaxation. AromaTouch Massage- Developed by Dr David Hill, a leading expert in integrative medicine and therapeutic application of essential oils. This technique utilizes 8 specific certified pure therapeutic grade (CPTG) essential oils and oil blends to promote relaxation and stress relief, offer immune support, decrease pain and inflammation and elevate mood. In this session, essential oils are applied along energy pathways and reflexology points and are coupled with specific massage techniques to stimulate balance in your energy centers and body systems. Therapeutic Honey Massage- Warm, organic raw honey, which naturally has antibacterial and anti-inflammatory properties, is poured on the skin and applied with specific hand movements that eventually create a lifting effect of the skin. This massage promotes detoxification of toxins stored in the skin, activates blood and lymph circulation, warms and relaxes the muscles, loosens connective tissue adhesions, and reduces pain in areas of tightness and also joint pain. This massage is especially good for those experiencing chronic pain and pain in the joints due to Lyme disease and various types of inflammation in the joints. 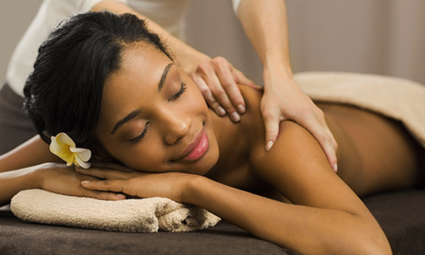 Aromatherapy Massage- Incorporates the use of 1-4 essential oils into a therapeutic session. Spiritual Healing Session- These sessions are each uniquely crafted for the individual, during which Palo Santo, (a South American holy wood) is used to smudge the body, guidance cards from various decks will be pulled to give insight into whatever the person chooses to focus on or just general guidance, crystals may also be placed upon the body, while energy work is incorporated into a full body massage. Jessica has been practicing Massage Therapy since graduating from the 1400 hour Massage Therapy program with a degree in Applied Science and Massage Therapy at Columbia Greene Community College. Afterwards, she went on to obtain her Bachelor’s Degree in Alternative Medicine. Jessica has always wanted to help people and through her work as a therapist/energy worker/herbal practitioner/Kundalini Yoga Teacher/shamanic practitioner she is living her vision. Jessica has been trained/attuned/certified in three different types of energy work, these include One Light Healing Touch, Reiki, and Healing Touch. Jessica takes an integrative approach to massage because she is conscious of the mind/body/spirit connection. Each session is created for the individual depending on what their need is and by mindfully combining Swedish, Deep Tissue, Active/Passive Stretching, Trigger Point Therapy, Myofascial Release, Traditional Chinese 5 Element Theory and Energy Work. Her goal, as a therapist, is to bring balance and wellness to the individual as a whole. Reiki is a powerful energy healing modality originating in Japan with Master Mikao Usui. The practitioner is a conduit of “rei-ki” or universal life force energy for the client. The Reiki energy balances energy centers and brings focused energy to areas of the body that seek healing. Reiki for me was the entry point to my personal holistic healing journey. It helped me release trauma from my body and awakened my gifts in all my healing modalities. Client and Practitioner discuss any particular health, mental, or emotional challenges and discuss any health goals for the session. Client settles on the massage table fully clothed and finds a state of relaxation. Practitioner scans the body energetically, perceiving any areas of the body (physical and energetic) that have blockages or need support. The practitioner then completes a full body treatment by sending Reiki through either light touch or hovering off body slightly. After the session is completed, the client and practitioner discuss any experiences or messages they may have received during the session. All of us have moments in our lives where we seek new direction, clarity, and avenues of implementation. Coaching is an incredible avenue to help find oneness with our desires and how we live. I combine the power of transformational coaching with my intuitive gifts to help clients discover their wholeness. It is an equal partnership where I as the coach provide pathways to self-discovery and the client has the space to explore, learn, and integrate their vision with their actions. Discovery sessions allow for me and the client to get to know one another, explore goals for coaching, and assess a good partnership fit. Please schedule a call to start the process of working together. Quantum Level Soul Healing- Cleansing the spirit back into wholeness, this process un-does any barriers to experiencing the true spark and essence of one’s divine nature. Using the Quantum field and shamanic healing techniques to shift frequencies and change behavioral patterns and past life experiences, this process heals on a deep level where positive shifts occur. The healing session is also accompanied by channeled messages from one's guides, angels, spirit animals, ancestors, ascended masters, the nature elementals, or departed loved ones, all in a safe and supportive environment. Cleo uses chakra balancing healing techniques to align one to one's true life purpose and soul essence as well as expanding and clearing out the auric energy field. The Quantum Field is infinite and vast space where millions of possibilities can occur. As we tap into this field great shifts happen, old patterns release, and new awareness is brought forth. Once rigid patterns or beliefs can be effortlessly dissolved so that greater peace and oneness can occur.Each session is individually tailored to work with what each client would like to shift, move, or change. These issues can be physical, emotional, or spiritual; they are all connected. Cleo works with each person's guides and angels, as well as ascended masters, Arch Angels, the Elementals, and each person's higher self. She incorporates Peruvian shamanic techniques as well as inter-dimensional light-weaving and quantum level spirit healing to fully integrate and expand one's soul light and true essence. Throughout the process clients are connected with their guides and higher selves enabling them to live in the world in a complete, joy-filled, and inspiring way aligned with one's life purpose. This process allows people to live as their full self, walking through life balanced, and living as their soul essence and light. At the end of each session clients will receive channeled advice to practically move forward after the energy healing has occurred. Cleo has studied with many healers who have assisted her in opening to be a divine channel for healing and receiving messages. She has been connected to higher planes since she was a child, opening herself further to these abilities through various trainings and personal work. Cleo has trained with healing modalities such as Quantum Healing with Kenji Kumara, Access Consciousness with Gary Douglas, Shamanic Healing with Ray Crist, Energy healing with Rikka Zimmerman, Plant Spirit Healing, Herbal Medicine with Rosemary Gladstar, Angelic Healing, Reiki and more. Cleo is delighted to offer healings and constantly in awe of the profound love of the universe and its ability to heal. Cleo holds her B.A. In Traditional Eastern Arts: Yoga from Naropa University in Boulder, CO. She has been offering healing sessions for the past ten years. Ayurvedic massage is a deep pressure, lymphatic treatment that uses ancient Indian knowledge, warm herbal oils and aromatherapy to balance and detoxify the body. In a full treatment, you will receive abhyanga (full body massage), mukha abhyanga (face massage) and shiro-abhyanga (Indian head, neck & shoulders massage). Further therapeutic treatments are available upon consultation. Shiro-Abhyanga (Indian head, neck and shoulders): improves scalp problems, hair growth, headaches, reduces stress, anxiety and insomnia. Kalari (Indian sports massage): opens up the joints, releases tension in muscles, improves circulation and deeply relaxes the entire body. Mukha-Abhyanga (Indian face massage): Rehydrates the skin, relieves jaw problems, reduces tension in the face, eyes, ears, nose, lubricates the sense organs, helps with sleep and circulation, removes wrinkles and improves memory. Tiffany was born and raised in New York City, but to her India feels more like home. She has been teaching yoga and other mindfulness techniques for over 7 years and practicing for more than 10. She completed her 200-hour yoga teacher training at the Mystical Yoga Farm in Guatemala. Her training focused on a Hatha/Vinyasa flow, alignment, spirituality, chanting, meditation and Ayurveda. She also completed various other trainings including a 50-hour hands on adjustments training at Laughing Lotus, NYC and a 50-hour trauma-informed yoga training with Connection Coalition. She is also a certified Ayurvedic therapist and essential oil educator. Her teaching style now includes Vinyasa as well as yin, restorative, yoga wall, and even laughter yoga. For the past 5 years, she has been traveling and leading retreats, classes and workshops all around the globe, including places like: New York, California, Colorado,Scotland, England, Croatia, India, Argentina, Nicaragua, Panama and Colombia. Her passion for teaching comes from a deep strive for facilitating growth and acceptance in a constantly changing world. Online Booking must be made at least 48hrs in advance.